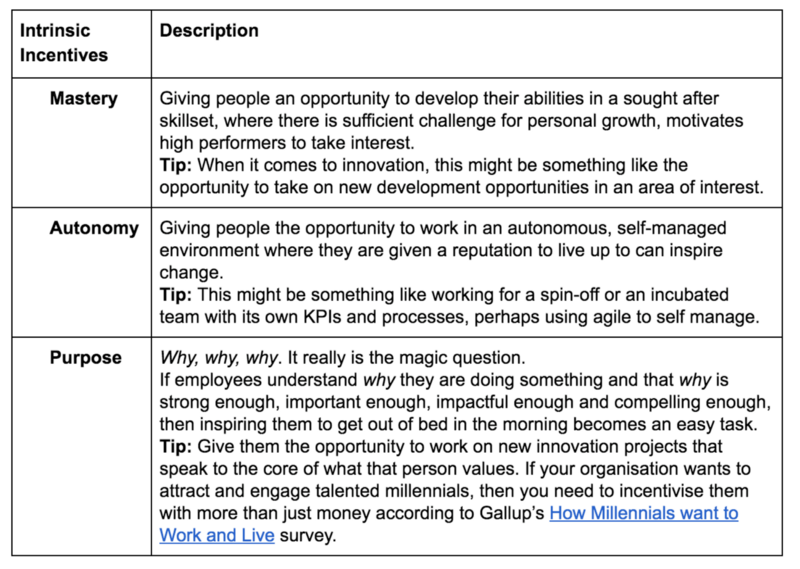 The question often becomes one of how to incentivise innovation without compromising the core business model. 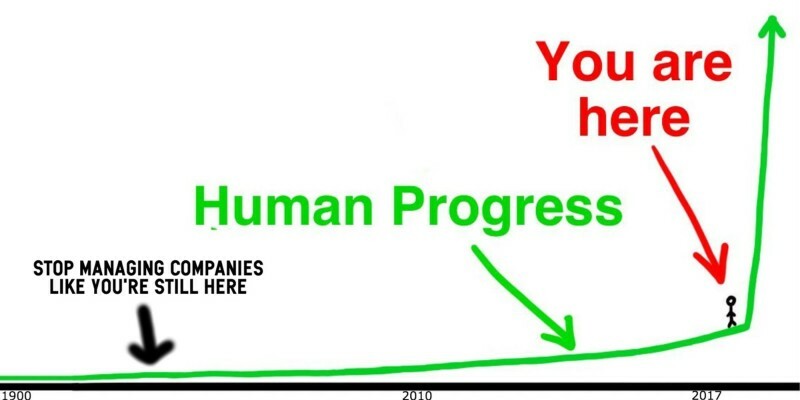 After all, the core business model is where we make money today (but not necessarily tomorrow — just ask Kodak, Blockbuster, Borders, Compaq and countless others who have fallen by the wayside thanks to technology and/or business model disruption). 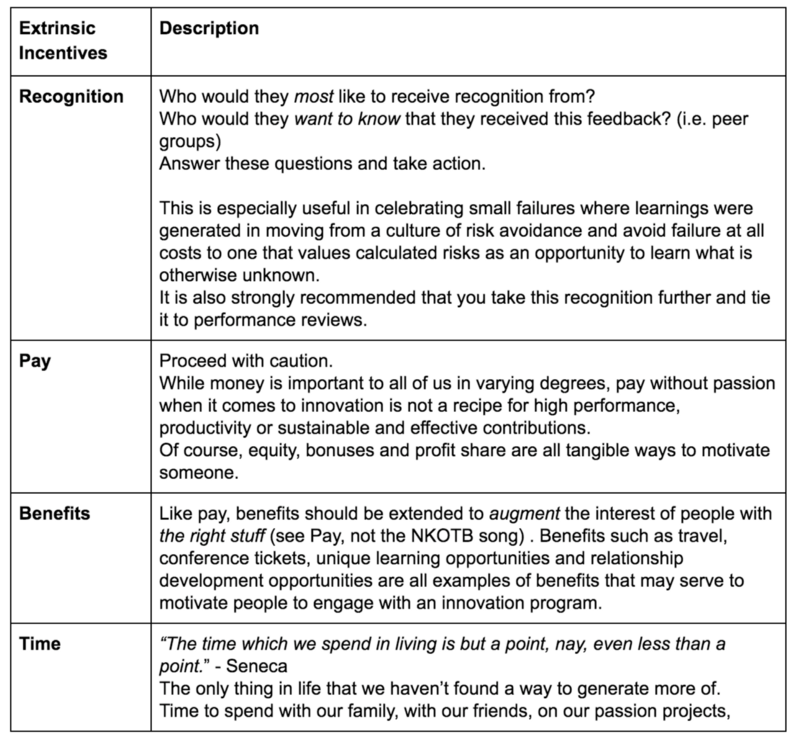 The following post should serve as a guide as to how you might go about incentivising innovation at your organisation. 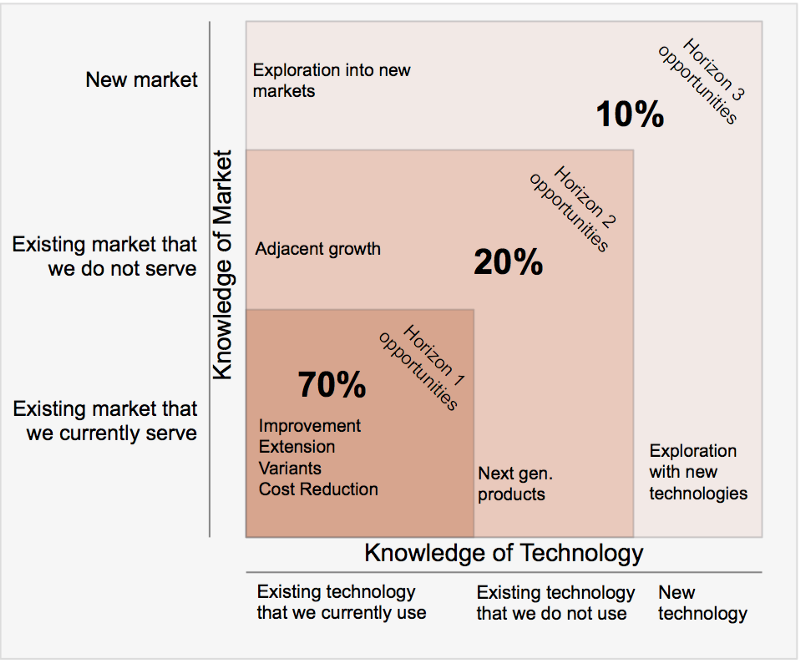 Step one for most is not going from zero to one and bringing new products to market that blow people’s minds but shifting mindsets and culture from one planted in 20th Century industrial revolution-grounded management science to one that supports the behaviours required to drive innovation today, you know… in 2017. 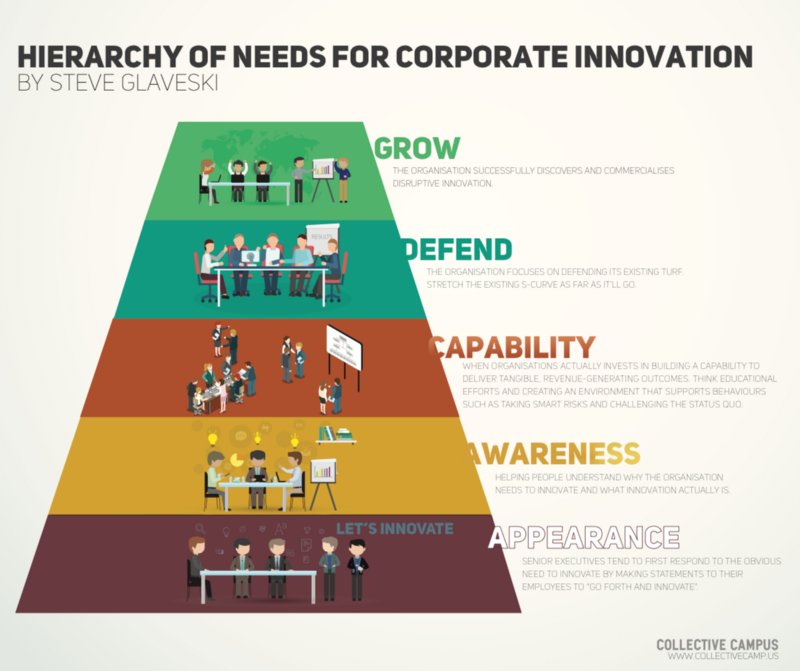 Figure out where your company sits on the Hierarchy of Needs for Corporate Innovation pyramid when defining your overarching organisational objectives. Think money, time, public recognition, prizes (perhaps tickets to attend a hot tech conference — SXSW anyone?! ).